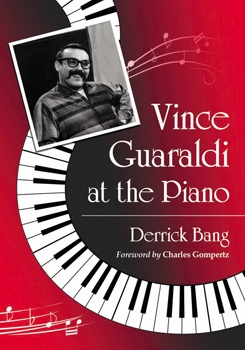 Vince Guaraldi at the Piano, a lengthy career study of the San Francisco-area jazz pianist who achieved early fame with the hit single "Cast Your Fate to the Wind" and went on to become the primary musical force behind the Peanuts television franchise, was published in March 2012 by McFarland & Company, Inc. Although Vince Guaraldi's playful jazz piano themes for the early Peanuts animated television specials are well known, the composer himself remains largely unheralded. 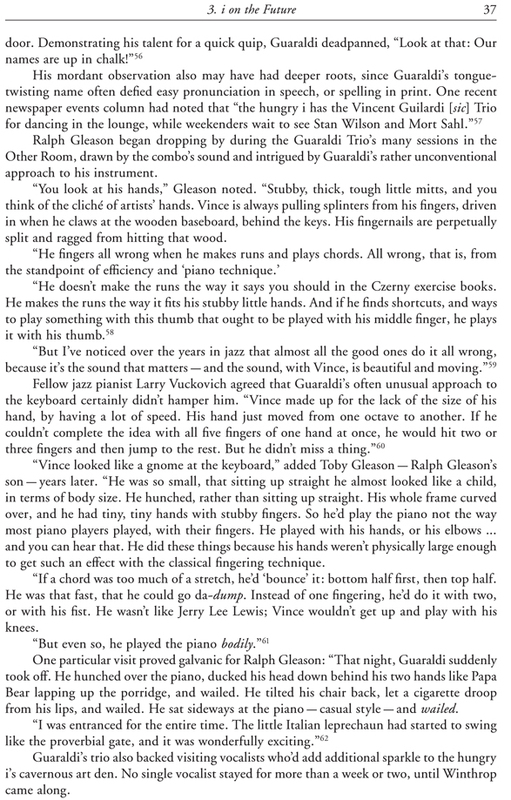 More than merely "the Peanuts guy," Guaraldi cut his jazz teeth as a member of combos fronted by Cal Tjader and Woody Herman, and garnered Top 40 fame with his Grammy Award-winning hit "Cast Your Fate to the Wind." 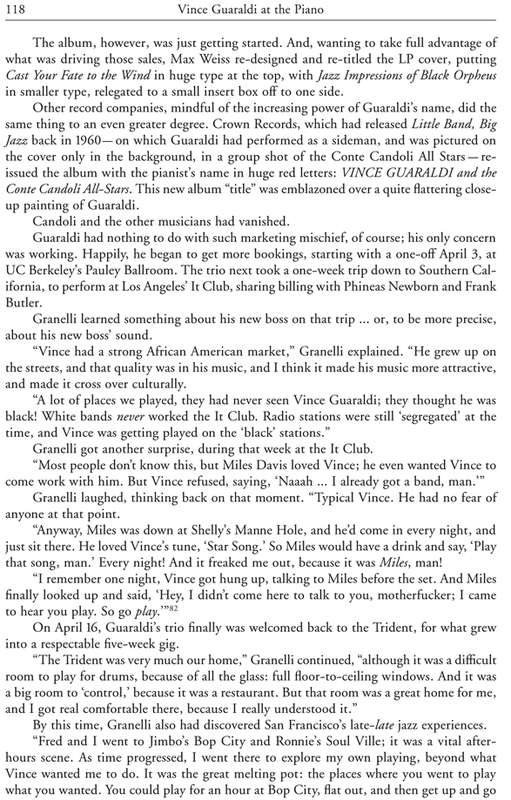 This career study gives Guaraldi long-overdue recognition, chronicling his years as a sideman; his attraction to the emerging bossa nova sound of the late 1950s; his collaboration with Brazilian guitarist Bola Sete; his development of the Grace Cathedral Jazz Mass; his selection as the fellow to put the jazz swing in Charlie Brown's step; and his emergence as a respected veteran in the declining Northern California jazz club scene of the 1970s. 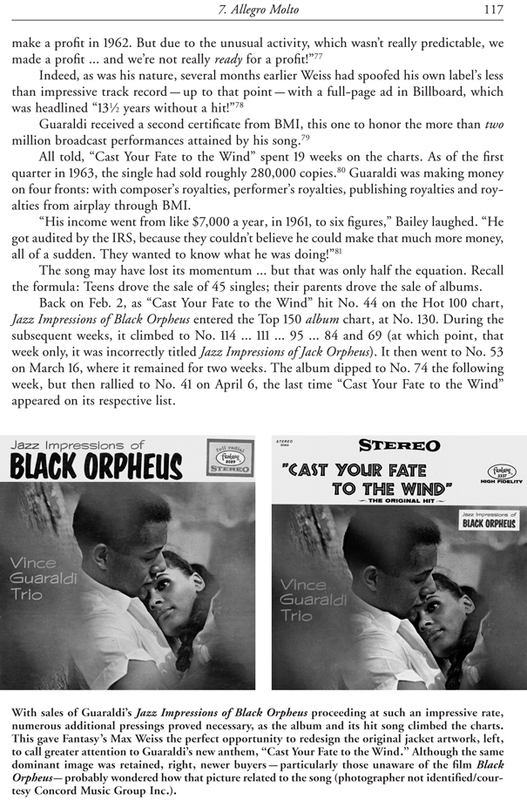 Throughout, this welcome volume conveys the magic and legacy of one of jazz music's overlooked treasures. 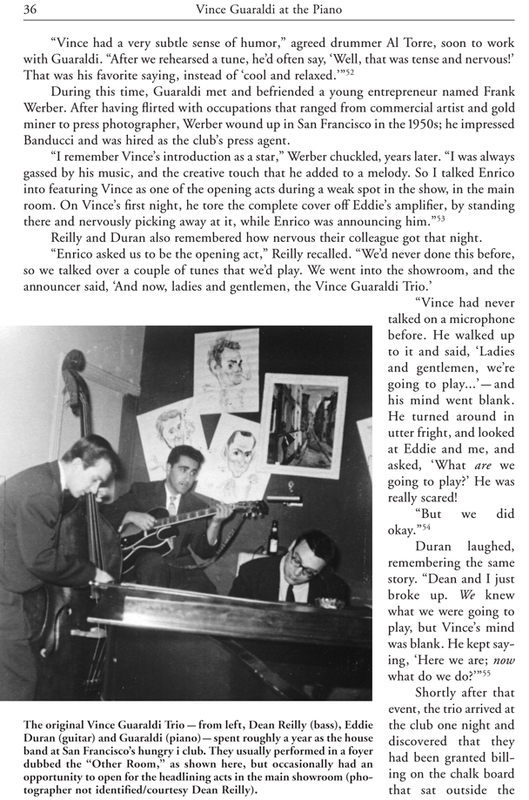 A discography and filmography, the latter revealing Guaraldi's rare appearances on camera. Published by McFarland & Company, Inc.; visit them at their Web site. The book can be ordered at all retail outlets, and is available at Amazon.com and direct from McFarland; find out more here.